Believe it or not, house training is one of the easiest things to teach a dog because dogs are clean by nature and don’t like to soil their den area. Using this concept, begin by always supervising your puppy when he/she is not in her den-crate environment. The largest reason people fail with house training is that they give the puppy more freedom than the pup or dog is capable of handling. An un-supervised pup or dog is bound to make mistakes. If you can utilize a crate to replicate the “den” environment that dogs need and feel secure in it will shorthand the process. If the puppy or dog is given the opportunity to get out of his crate when necessary, it can aid your house training efforts enormously. As the puppy is let out from the dog crate, take him out on a leash to the spot you will want him to eliminate. If he goes, praise him. If not, put him back into his crate and try again in about 15 minutes or so. Continue with this cycle until you and your dog have a routine going. Success earns the pup freedom for twenty minutes or so. Gradually extend the time as he grows older and more reliable. Remember a seven-week-old pup does not have a great deal of bladder control. Don’t expect him to go more than a few hours without having to eliminate, and don’t expect him to wait once he is out of his crate to eliminate. Begin the first time you take your puppy out to give a word to associate elimination with. In the beginning the puppy won’t understand the word, but if each time you take him out you say to your puppy, “hurry up”, or “go potty” and continue to repeat the phrase until he goes, praising when it happens, your puppy will learn to associate these words with the action. 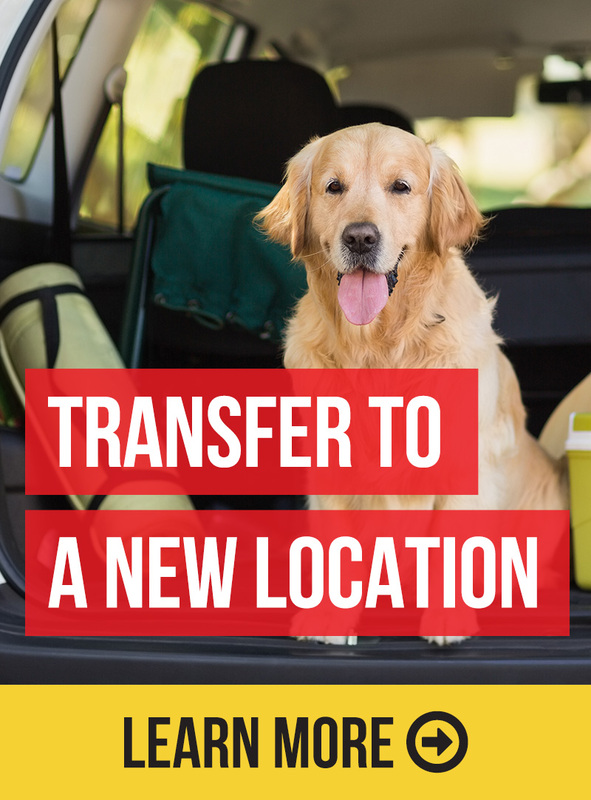 Later when traveling or out in public it can be a cue word to get your dog to relieve himself in quick time, without having to wait in the scorching sun, or freezing rain. An even easier system for house training is to do crate training with a dog door and an enclosed dog run on the other side of the dog door. The dog crate goes up to the dog door. The dog door in the beginning may need to be taped or otherwise rigged up so the puppy can comfortably go through the dog door. The outside of the dog crate should be enclosed somehow to prevent the puppy from getting into any harm, or harm finding him! When the pup isn’t in his crate, you have to use constant supervision to keep him from making mistakes. The easiest way to do this is to literally tie or tether the pup to your waist with a leash or line, or tether him to a piece of furniture where he has no more than three feet of freedom in any direction. Remember that a pup tethered to furniture should be watched carefully or he may chew it. Crating, supervising and tethering are examples of a management system used to support the dog until he is trained. With the crate set up to the dog door system, your puppy learns quickly to let himself out of his containment area to relieve himself. It also helps him develop some independence from always having you to hold his hand, thus increasing the need for the puppy to feel that he needs someone to take him out, he can’t possibly go by himself. Because dogs are inherently pack animals, they prefer to be with us, than be alone. Most cases of adult “separation- anxiety” would never develop if the dog as a puppy had been trained in the crate/dog- door/dog -run management system just described. Early on the puppy would learn to deal with being alone and without the opportunity to dig, chew or destroy things left available. One important thing to consider with this system is that when you first let your puppy out of his crate you would still want to take your dog immediately to the outside area you are encouraging him to go relieve himself in. Even though your crate has access to the outside, puppy may have been resting and not recently “emptied out.” It won’t take much movement on the dogs part to feel the strong urge or need to “go.” We don’t want mistakes that could have been prevented. These are some of the first essentials for a good start with your new puppy. Enjoy him and give him a good start with safe and secure boundaries in your home! All three dogs in the pictures and in the video are Sit Means Sit trained dogs. They are trained to do fun things which help us educate the public. You can learn more about puppy training and housebreaking rules. Find an incredible Sit Means Sit Dog Trainer near you! Become a dog trainer in Long Island or Manhattan!